“We serve as a centre of excellence and innovation in higher education” is the motto of the college. Chandel is considered the most backward of all hill districts of Manipur. It was behind all others pitifully in the educational sphere. Most other colleges lacked education facilities due to which the students were never given the holistic approach towards education. 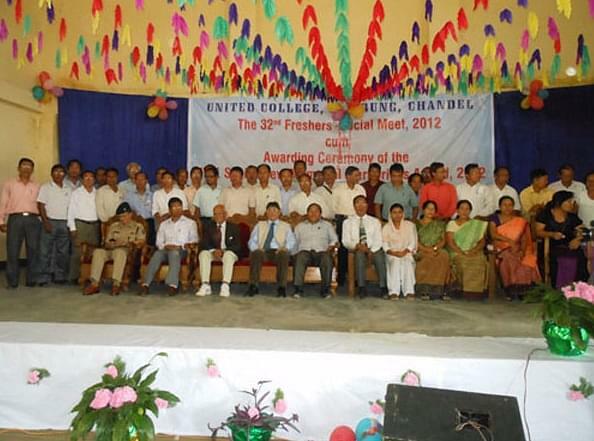 United College was a thought which came together when people felt the long and growing need of an institution of higher education in a place like Chandel. An institution which would offer the opportunity to students of the district to fulfill their dreams to study further after passing matriculation and choose a field where they could excel. Under compelling situations, they together built this institution. United College has seen tremendous changes and growth over the years of its starting. Currently, preparations for NAAC Re- accreditation are in the final stages of completion. It also has a school inside a semi-pucca building for 10+2 students. 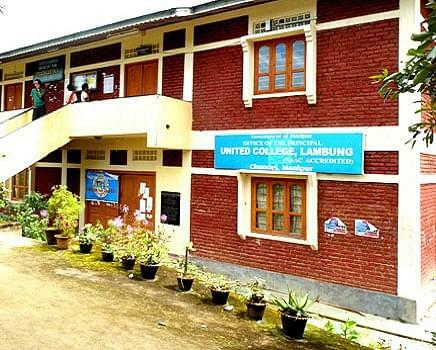 United College emerges to be the first NAAC accredited college in the hill district of Manipur at the B level (71.05%). This exemplifies the presence of best in class education and curricular development of students; ensuring a brighter future. Students belonging to ST, OBC or SC caste receive Post- matric scholarships from the Department of Tribal & Backward Classes, Government of Manipur in order to encourage them towards education and co-curricular activities. By relieving them from financial burdens, students are able to gain their educational rights without any hassles.